I am needing advice. We, my husband and I, have had a fish tank for a while now but we are still learning a lot of new information. We have a 10 gallon tank with just fry and a 45 to 50 gallon(?). 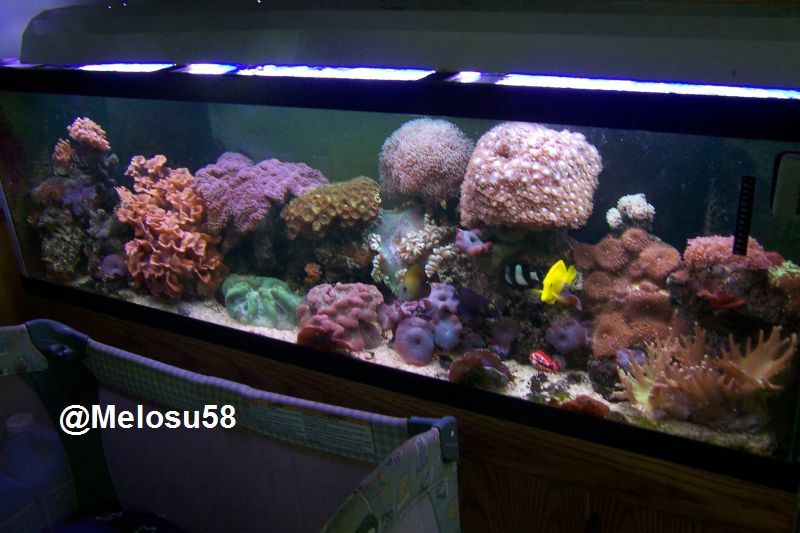 The larger tank is the newer one and it has a few decorations and we have sand in the bottom instead of gravel. I just like the look better. We only have livebearers in our tank, 2 platy and about 10 guppies, 1 cory albino catfish and one very large (12 inches) generic pleco. Okay, so here is my problem, we have recently noticed the dreaded red hairs sticking out of our guppies butts. We have researched tons of sites and came up with a lot of useful information but, none are specific enough. This is where I hope joining this site helps out. We have ordered panacur online. It is going to take a week to get here and 2 of our fish have already died. Through our research we have found dosages for treatment using the panacur but no one has posted how large their tank was or given specific dosages to gallons of water. Our tank holds 40 gallons of water exactly. When our medicine gets here how much and how often do we use it? Any help would be appreciated.